Nike's Air VaporMax Light 2 Surfaces in "Black/White" & "Triple Black"
Something bold and something low-key. The eye-catching hybrid features a high-top boot profile with a sock-like fit. The knitted upper features graphic leather overlays that fuse Western boot characteristics with modern elements thanks to the semi-VaporMax sole unit. The “Black/White” version offers a bold, high-contrast look while the all-black colorway keeps it more low-key. 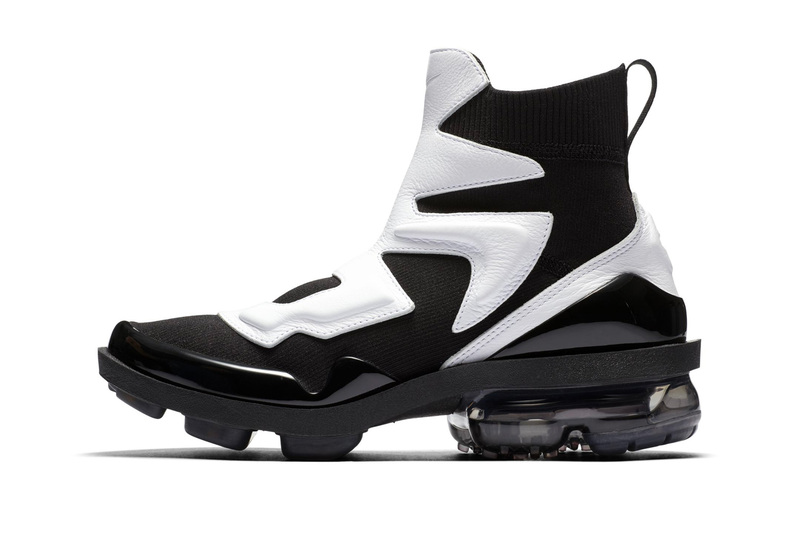 Both versions feature a black knit upper, sole unit and semi-transparent black VaporMax heel. Stay tuned for the official release date of these Nike Air VaporMax Light 2 colorways and share your thoughts in the comments below. For more striking models, take a first look at the ACRONYM x Nike Presto Mid trio. Neglecting the late singer’s opioid addiction.